August's weekend-only raid event is here! During the three weekends listed above, you'll have an opportunity to work with your party to take down the towering Assault Dragon Raid Boss to earn Lux and other rewards! Raid Bosses are especially powerful Heartless, which will appear for a limited amount of time before disappearing. You'll need to coordinate with your party to take them down before they leave -- but if you can, you'll be greatly rewarded for your efforts! Band together with your party to receive all of the possible rewards, including one Magic Broom Medal from the Raid Board! Additionally, you can obtain bonus Medals by taking down Raid Boss at certain levels! When you defeat the level 10 raid boss, you'll earn 6★ Chip and 6★ Dale Medals! *Only applies to defeating the level 10 raid boss. Get Tier 5 7★ Prime - Mr. Incredible within 5 Draws! ■ Incredibles 2 Deal! Get Tier 5 7★ Prime - Mr. Incredible within 5 Draws! Get the Tier 5 7★ Prime - Mr. Incredible within 5 draws from this exclusive Incredibles 2 Deal! 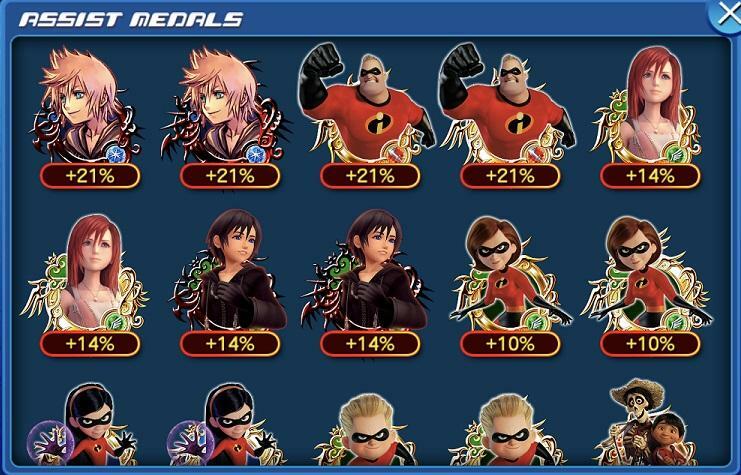 3000 Jewels gets you 10 Medals, TWO of which are guaranteed Incredibles 2 collab Medals! The remaining 8 Medals will be of 5★ or higher rarity! You'll also be able to take full advantage of the 7★ version of Prime - Mr. Incredible's 5 trait slots! NOTE: The 6★ version of Prime - Mr. Incredible will have 3 trait slots. Best of all, the first draw is free! Also please note that these Medals are only available for a limited time, and will not re-appear in future deals until further notice! ・Boosted Prime - Mr. Incredible: 1,000 more base Strength and Defense. ・Boosted Prime - Mrs. Incredible, Prime - Violet, Prime - Dash: 1,000 more base Strength. Incredibles 2 High Score Challenge! The prizes this time are the Bob & Jack-Jack Medals and Trait Medal #27! ・Bob & Jack-Jack will gain a new trait. ・Bob & Jack-Jack will gain one Special Attack Dot. NOTE: If Bob & Jack-Jack is already strengthened to 5 Special Attack Dots, the Trait Medal will unlock the Special Attack Bonus. Trait Medals can also re-roll Special Attack Bonuses if the Bonus is already unlocked. ・Boosted Bob & Jack-Jack: 1,000 more base Strength and Defense. Earn the Incredibles 2 Collaboration Booster by completing objectives! Challenge yourself and receive the new Booster [Incredibles 2], and other great rewards! Celebrate the Incredibles 2 Collaboration with these event quests! ・A total of 10 quests will be available during the event period. 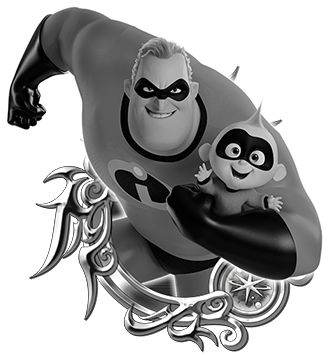 ・Complete the quest objectives to receive the new Booster [Incredibles 2] and other great rewards! 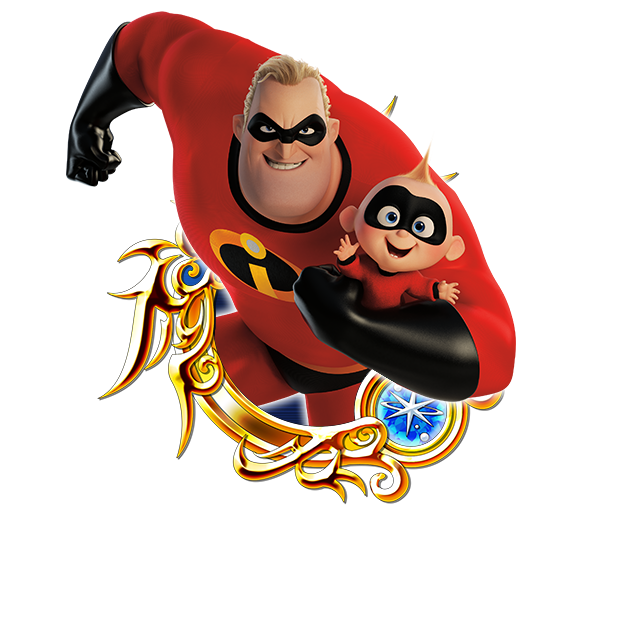 You can obtain the Booster [Incredibles 2] from this event, which will temporarily strengthen your Incredibles Medals. 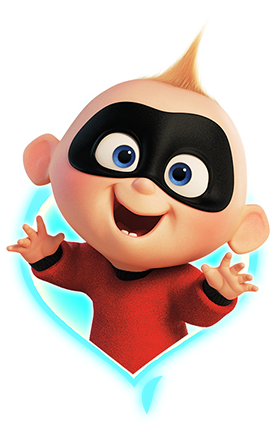 *Booster [Incredibles 2] obtained from this event will expire on Aug. 31, 2018 at 11:59 p.m. (PT) / Sep. 1, 2018 6:59 (UTC). If it makes any difference, at least Helen (and Violet) are the medals people want more from the banner. Their buffs and debuffs are very useful. I demand a Syndrome medal! Demand! This is promotion for Incredibles 2's release in Japan, not a spur-of-the-moment collab just cuz. They updated the Incredibles 2 deal description twice. The first time was to say people who get all four individual medals would get a Golden Ticket on August 21st. The second time was to say people who get all four individual medals at 7* would get a Golden Ticket on August 21st. SENA is making Silver and Gold tickets now available outside of PvP. This is a good and welcome move. Yes, we have to pay for them, but this is like the Brooms when they first came out. Be patient, and the tickets will be available to F2P without paying for them. Overall, a good move by SENA, and I think the pressure from the community forced them to do this. Awesome collaboration. Now we can officially say The Incredibles has been involved in the series...to some extent.